The suit actually has a practical WWII military look to it with some of the obvious Captain America flourishes that we would expect. It’s hard to really pass judgment on a costume until you see it properly lit, in motion and doing what it’s meant to do. But based on what I saw, I’m pretty impressed with how they were able to adapt the costume for the film. As for the shield, it actually hews very closely to the classic design of red/white/red rings with the white star in a blue circle at the middle. And yesterday, AICN posted artwork of a completely different source, which Mike from JoBlo has confirmed to be the art he was describing in his original piece. I’m really thinking I’m going to have to see this movie! I love the comic book touches (“What are you doing? Getting a life.”) and the fact that Edgar Wright (Hot Fuzz, Shaun of the Dead) is directing it fills me with glee. 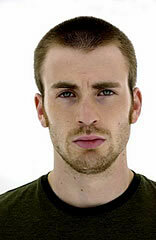 Chris Evans lack of any acting ability however? Not so much. Scott Pilgrim vs. the World opens August 13th. PS. Nice Can-con touch with the CBC shirt. Could this movie make it cool to watch the CBC? As most of you know, I’ve been following the developments surrounding the casting of Captain America pretty closely and was unimpressed with Joe Johnson’s choice of a leading man, Chris Evans. It’s not that I think Evans isn’t a talented actor, quite frankly I think the jury is still out on that one, it’s that I really don’t think he embodies the character of Steve Rogers/Captain America. But what do I know? I’m not a director or producer. I’m an armchair critic at best, and don’t know jack about casting. These people do, and it’s entirely possible that the professionals saw something that I wouldn’t even be aware of. So, I’m willing to give them the benefit of the doubt. All that being said, I do expect Evans to actually know something about the character he’s going to play as well as the expectations that fans will have of that performance. Oookay? He’s a great guy? He’s a fun character? Is that all Evans can think to say? No mention of sacrifice, integrity, courage or anything else? How much reading did Evans do exactly to come up with such a mind-boggling, expansive observation? That really convinces me that we’ll get an innovative interpretation of the character. What’s even more discouraging is Evan’s answer to Why Captain America? Dude, you are playing one of the most revered characters in modern literature (and yes, I consider comic books literature, get over it). This character has been around for more than 50 years. He’s survived war, assassination attempts, planetary destruction, being encased in an iceberg for crimeney’s sakes AND YOU DON’T KNOW WHY YOU’RE PLAYING HIM? YOU DON’T KNOW WHAT MAKES HIM COMPELLING? YOU DON’T KNOW WHAT IS MOTIVATING YOU TO TAKE ON THE CHARACTER? Oh, wait a minute, I guess being signed for a 9 movie deal worth millions of dollars would be a great motivating factor. Dollar signs usually are. I don’t know what the rest of geek-dom thinks about all this, but I’m no longer feeling as optimistic about Captain America or The Avengers movies as a result. Geeks and fanboys/fangirls are a passionate bunch. We don’t necessarily expect the same passion for our favorite characters from the actors portraying them, we do expect them to understand and respect the character. I just don’t get the sense from Evans that he even has that. If I were Joe Johnson, I would not be happy with my leading man right now. Here’s hoping that Evans gets a clue, does his job properly, and gets a feel for who Steve Rogers is and what he represents. Baring that, maybe something non-fatal will happen and he has to pull out. 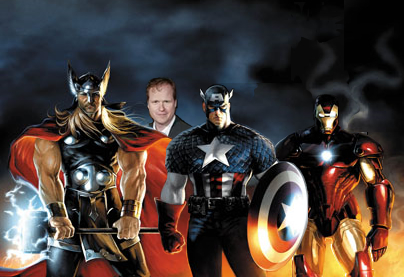 That way the fans and Captain America can get an actor who will do the role and the movie justice. It’s like I have ESPN or something….. Remember a few weeks ago, when I was bemoaning the slow pace Joe Johnston was taking in casting Captain America, I evaluated the list of potential Steve Rogers. 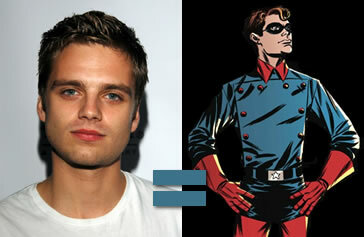 One of those candidates was Chance Bass, and while I didn’t think he could cut it, I did suggest he get the role of Bucky, Cap’s WWII sidekick. Well, it seems I wasn’t far off, because another Gossip Girl alum has just been offered the role. According to EW, Sebastian Stan, who plays Carter on the show, has been offered the role and has reportedly signed a 5 or 6 movie deal (a lot, until you consider Chris Evans contract involves something like 8 movies in total) with Marvel. I don’t know about this. 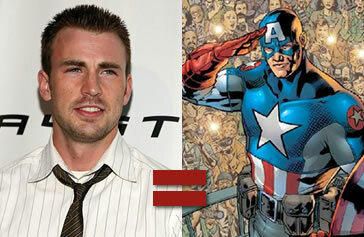 I’m still not sold on Chris Evans as Captain America, and frankly, Stan looks to be about the same age as Evans. 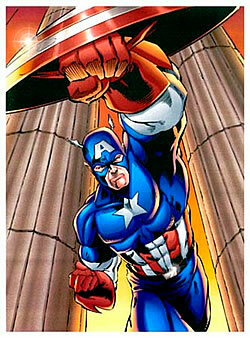 In the comics, I always got the impression Bucky was the plucky teenage sidedkick to Cap’s more experience adult hero. But I have to admit, Hugo Weaving brings a lot of cred to any project so I’m not willing to give up on this yet. I will remain optimistic. It’s official. The role of Steve Rogers, aka Captain America has been offered to Chris Evans, formerly of The Fantastic Four movie franchise. According to both Entertainment Weekly and MSNBC, Evans was offered the role this afternoon, even before director Joe Johnson auditioned the final two candidates. If Evans accepts the role, he will sign on for a three movie deal. The news however has yet to be confirmed by either Marvel or Paramount. So, there you have it. Not an absolutely horrible choice, but still not the one I would have made. I would have loved to see a fresh face in the Marvel universe and I have my doubts Evans will be able to go toe to toe with Downey, but we’ll see. I’m willing to give him and Captain America the chance. Besides, with Hugo Weaving in the movie, how bad can it be? Yeah, famous last words.